A market-leading communication platform for knowledge transfer, information exchange, discussion and opinion forming! 2-Day tickets are valid for 7 & 8 May 2019. /2nd Day tickets are valie for 8 May 2019. /All prices are per person and inclusive of VAT. 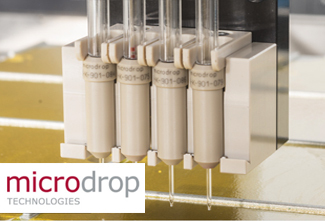 BIOCHIP Berlin is only open to industry professionals. The Organizer reserves the right to accept or reject registrations and to cancel any previously-accepted reservations, at any time, at its sole discretion. This policy was instituted to maintain the professional environment of the show, while protecting the interests of our attendees and exhibitors. Car parking lot: ca. 100m from the exhibition hall.